But the new draft recommendations from the U.S. Preventive Services Task Force (USPSTF) say there isn't enough evidence at this time to either endorse or advise against taking vitamin D or calcium supplements to prevent broken bones. "Fortunately, there are things we can do to help prevent falls," said Dr. Alexander Krist, a task force member. However, "we found that it is unclear whether vitamin D and calcium can help prevent fractures at higher doses," said Krist, an associate professor of family medicine and population health at Virginia Commonwealth University. "They do not prevent fractures at lower doses." "We hope that you talk to your primary care provider about exercise to prevent falls if you have any concerns about falling, as well as vitamin D or calcium supplementation if you have any questions about your personal risk of fractures," Krist added. The proposed guidelines are intended to help prevent falls and fractures in generally healthy adults aged 65 and older who live at home and don't have medical problems such as osteoporosis, vitamin D deficiency, Parkinson's disease or dementia. After reviewing the available studies, "we found that exercise had a moderate benefit in preventing falls in older adults at increased risk for falls," Krist said. The task force didn't suggest any particular type of exercise. Still, "supervised exercise that improves balance, the way someone walks, and helps with completing common tasks are helpful," Krist said. "These can be done in group or individual classes and either at home or in the community. Patients should talk with their clinician about what exercise programs are best for them," he added. 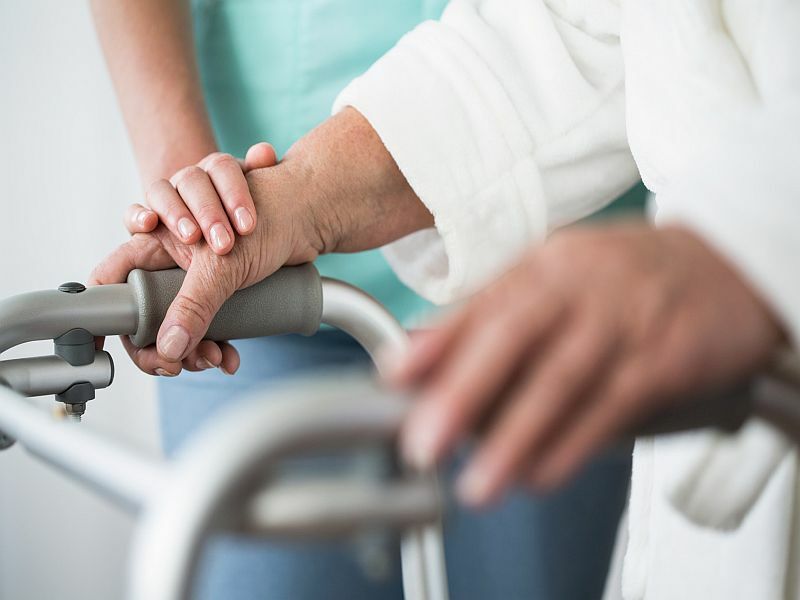 The task force also recommends that health care providers "selectively check older adults' risks for falls, and then offer tailored interventions that address those specific risks." "Medical offices are businesses. Anything that adds time to the office visit, without adding revenue, is unlikely to be added to the majority of visits," said Dr. Chris Sciamanna, a professor of medicine and public health sciences at Penn State College of Medicine. He wasn't involved in writing the draft recommendations. Sciamanna suggested that seniors test themselves: "If you can't stand on either leg for 10 seconds without grabbing onto something, you're at risk and should talk to your doctor," he said. But, he added, "the reality is that there's little for doctors to do other than to refer you to an exercise program or, in some cases, reduce the dose of a medicine that may be hurting your balance, like a blood pressure medicine." In a perfect world, Sciamanna said, he would have his patients enroll in a strength and balance program three times each week, and also "get aerobic exercise, preferably something that would be fun and build their agility." Although the task force recommends against taking vitamin D to prevent falls, there's no recommendation regarding whether seniors should take vitamin D for general health. As for other ideas, the task force said there's not enough evidence to show the value of single strategies like managing medications or making the home environment safer.